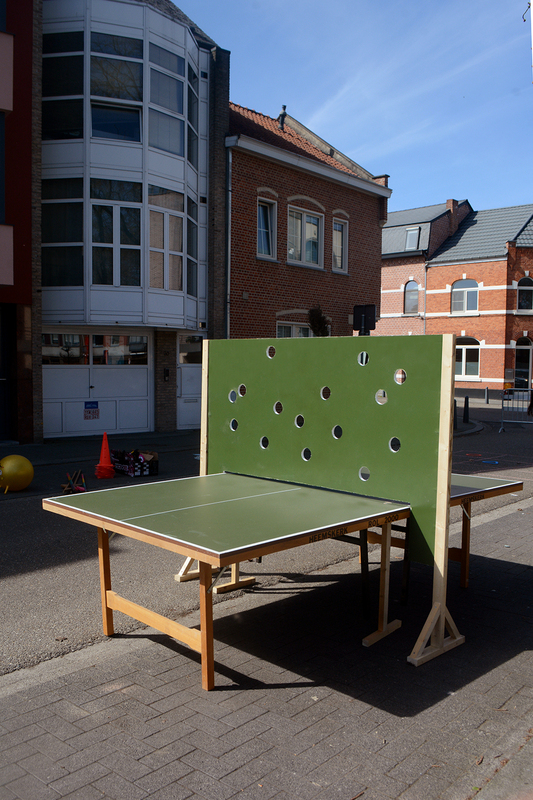 A ping-pong table net as a temporary instal-lation enabling the players to experience table tennis with the aspect of trial and error, endur-ance and anonymity. 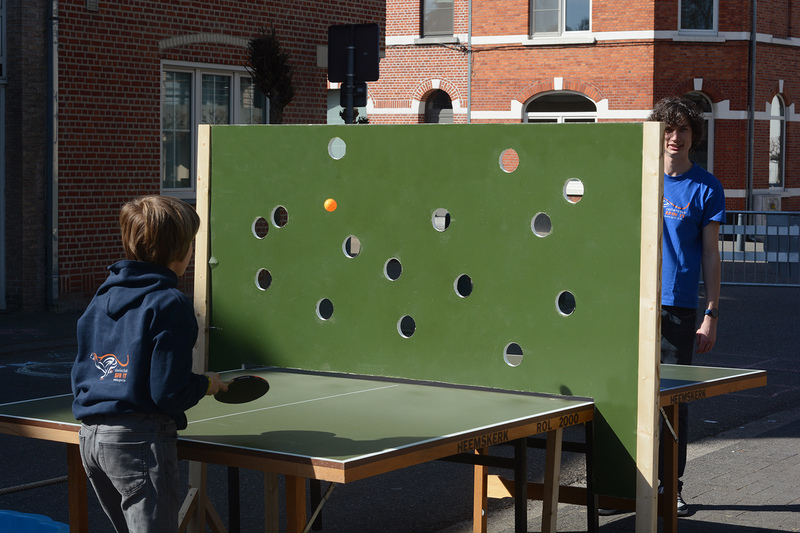 The serve to start with becomes a repetitive activity which can be in-terupted and changed any time the player suc-ceeds to hit the ball through one of the holes. The suddenness keeps the second player in tension. 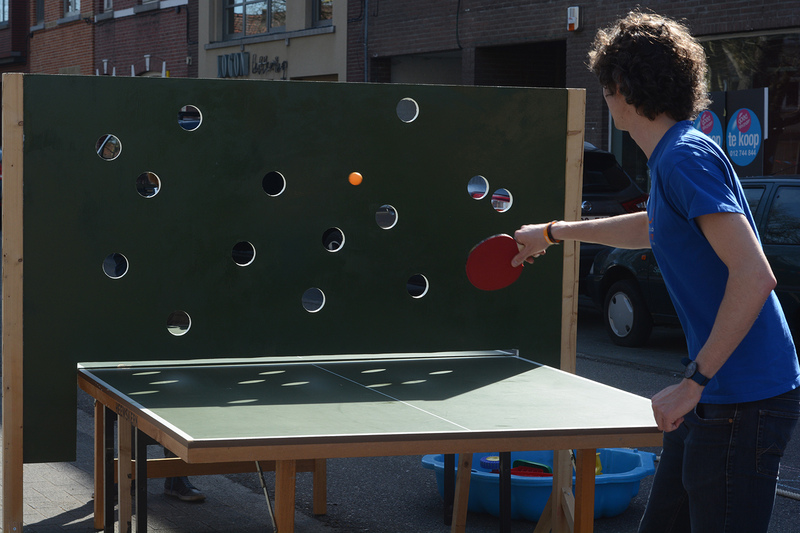 The players can see each other only through little cut outs which change their way they interact with each other. 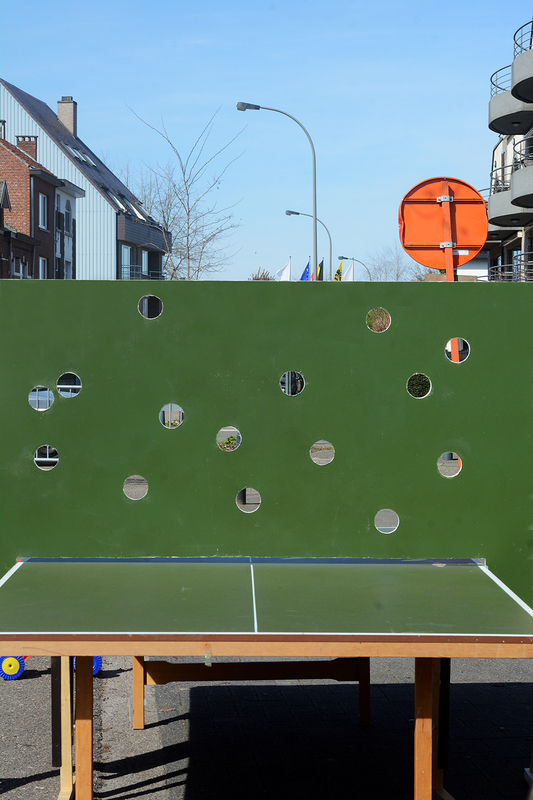 At the same time, the holes in the net indicate and depict eventual movements of the ball during a game.